In terms of daytime dressing, our top style priorities are pretty obvious: looking cool and feeling comfortable. But just as our nighttime wears would look far too "extra" by the light of day, our casual getups don't quite make the mark for dressier events (say, dinner and drinks with our latest right-swipe). Since we don't exactly have the time — much less the energy — to turn our closets inside out every time the sun goes down, we swear by simple swaps that can take our #OOTDs to #OOTNs (with little more effort than losing a layer here and adding an accessory there). Case in point: this versatile skirt look. 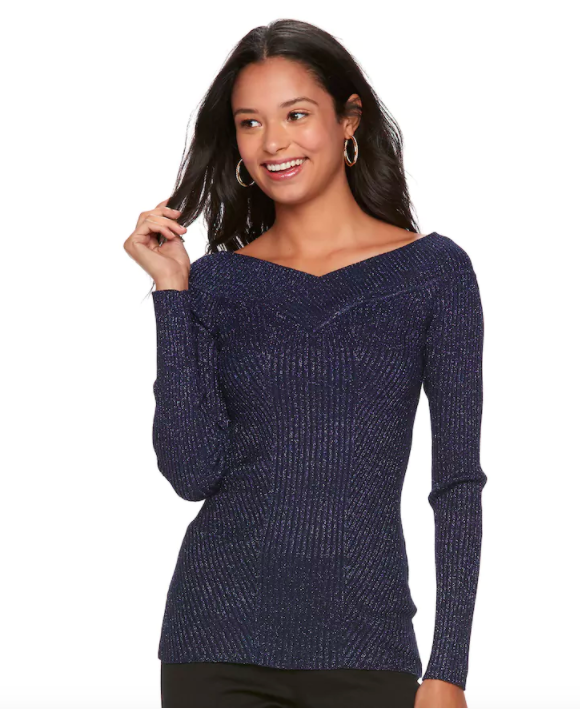 Cute and comfy, it looks just as good after-hours as it does pre-sunset with an off-the-shoulder sweater, a statement bag, and over-the-knee boots. Press play for proof.